It is not possible to celebrate the birth of Jesus, the Christ, the very Son of God, in a single day. The church gives us a season—from Christmas Eve to the feast of the Baptism of the Lord—to reflect with wonder on what God has done and is doing in our world. The gift of this child who would go on to give his very life for our salvation is the source of our hope in every age and through every storm. 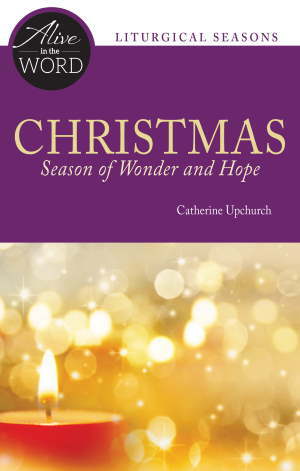 In Christmas, Season of Wonder and Hope, meditate with Catherine Upchurch on three New Testament passages that invite us to move through wonder to hope. Catherine Upchurch serves as the director of Little Rock Scripture Study and the general editor of the Little Rock Catholic Study Bible. She brings years of adult faith formation experience to her writing and speaking. She is an associate editor of The Bible Today, a regular contributor to Give Us This Day, and the author of Mary, Favored by God, Moses, Called and Equipped, and Hospitality, Welcoming the Stranger.